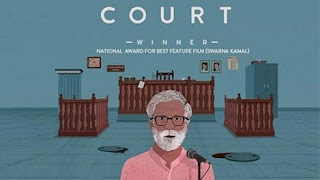 Marathi film 'Court' is India's official entry for the Oscars 2016. Filmed on a shoestring budget of Rs 3.5 crore, debutant director Chaitanya Tamhane's film will now represent the country in the Best Foreign Film category at the Academy Awards. 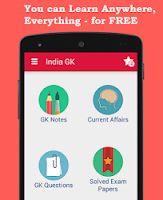 The winner will be announced in February 2016. 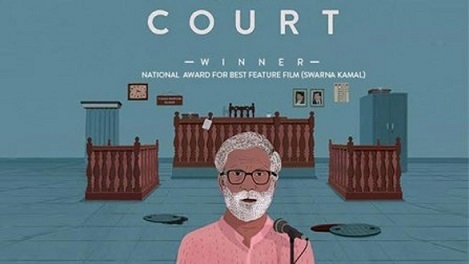 Court, which stars a mostly unknown cast other than Marathi stage veteran Geetanjali Kulkarni and Vivek Gomber, was tipped to be the favourite in the Oscar race, with fellow Marathi film Killa and Cannes hit Masaan. Rumour has it that there was strong lobbying from Bollywood producers for Vishal Bhardwaj's Haider, Rajkumar Hirani's PK, Anurag Kashyap's Ugly and the sports biopic Mary Kom. The jury also reportedly watched Tamil-Telugu blockbuster Baahubali. An elated Chaitanya Tamhane, who debuted as a director with ‘Court’, expressed both joy and surprise at the development. “At every juncture of the film’s journey, we have felt that it has given us more than we could ever imagine. Once again, this has come as a genuine surprise to both Vivek (producer) and me. Ever since we started making the film, we kept our expectations low. Especially in this case, since these results tend to be so unpredictable, it just felt like a wise thing to not expect too much. Now that it has actually happened, we would like to thank the jury for their decision and everyone who has supported the film so far,” said Chaitanya.